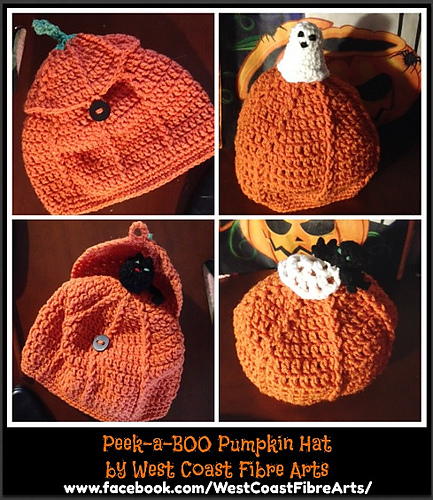 It isn’t too late to crochet up a bunch of these cute miniature witches hats! They only take a small amount of yarn and a few minutes of your time. 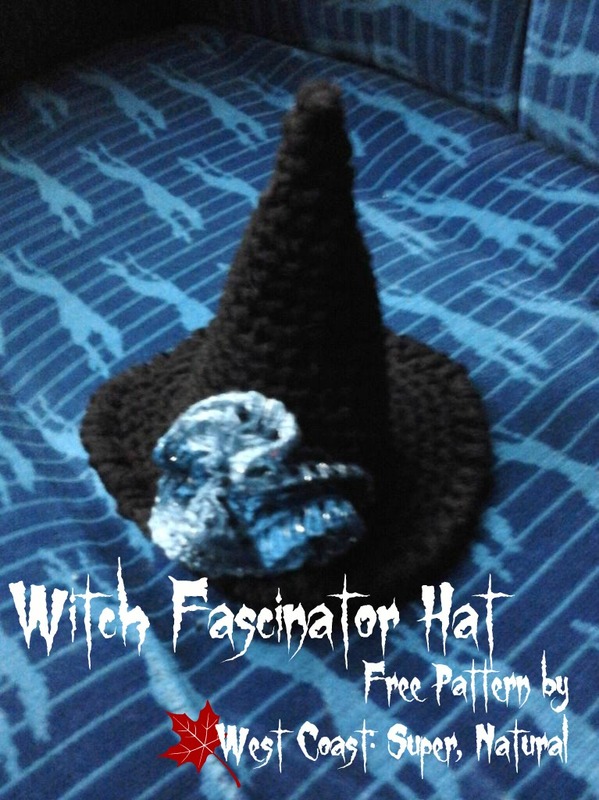 Tomorrow or Wednesday I’ll add 2 more fascinators–a bowler hat and a fedora/cowboy hat–and offer the 3 patterns in a Pdf Ravelry download. The little fascinators are so quick to make up that they are perfect to use for ladies fascinators, doll hats, or fall décor. Make them in different colours for different purposes and seasons! The witch hat would be perfect as a princess’s or wizard’s hat; the bowler and fedora would be cute summer accessories in pastels or bright colours. Make a bunch up for a party, leave heaps of different trims nearby, and let adults or children décorate their own hat! They would even be cute place cards at a table–just add a little name tag; let the guests take the hat home as a memento. They are perfect accessories for pumpkins, too! Please remember that patterns are copyright, even the free ones. Don’t copy and paste to your own webpage, or any other online source: instead, please share a link to my pattern post on Pinterest, G+, Rebelmouse, Twitter, Facebook, etc. Sharing photos of your items, made from this pattern or anything else you’re making, and posting comments on Facebook is welcome. 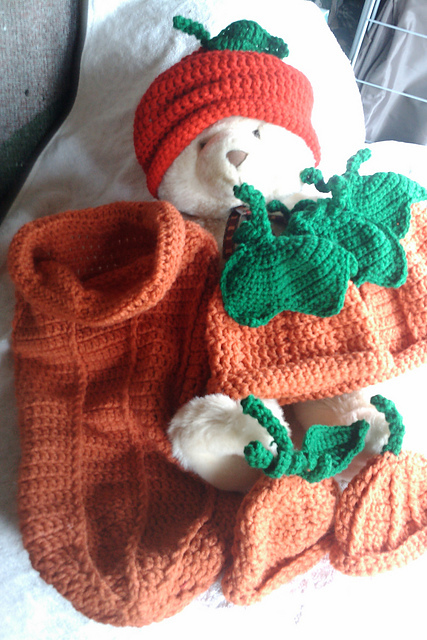 I’d love to see your crocheted and knitted work! As always, if you find any errors or have any questions, please contact me. It is usually quickest to send a personal message on Facebook. If you enjoy the pattern, please show your appreciation by putting it in your favourites, and if you make any hats I hope you’ll link it to my design 🙂 Thanks.